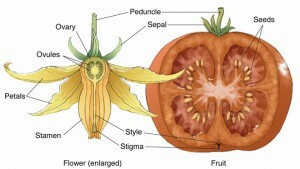 Blog / Vegetables & Fruits / Flicking the tomato flower can help tomato fertilization. Flicking the tomato flower can help tomato fertilization. Gardeners are often concerned that while their tomato plants have flowers, very few small fruits develop from them. And often the question is “where are the pollinators?” Actually, the weather has more to do with it than pollinators. 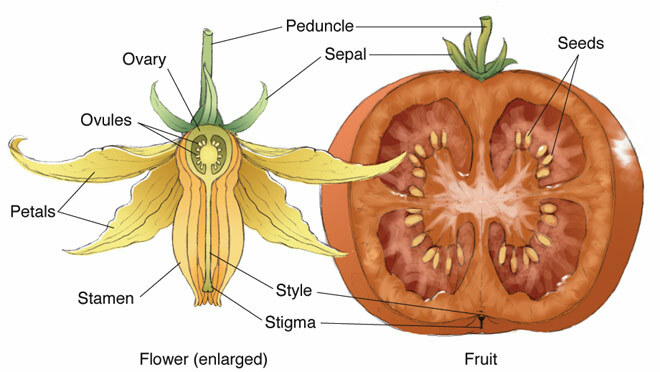 Tomatoes have perfect flowers, meaning that each flower has both male-stamen- and female – stigma- parts and are normally self-pollinating. One way the weather helps is by providing the shaking or motive power that causes the pollen to make the move from one to the other. 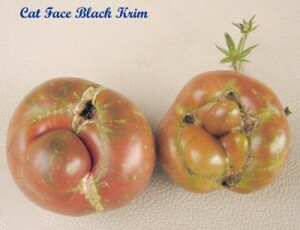 Also according to a Washington State Extension bulletin, optimum fruit set occurs within a very narrow night temperature range of between 60° F and 70° F. When tomato plants experience night temperatures lower than 55° F or above 75° F, interference with the growth of pollen tubes prevents normal fertilization. The pollen may even become sterile, causing the unpollinated blossoms to drop. High daytime temperatures, rain, or prolonged humid conditions also hamper good fruit set. If the humidity is too low, the pollen will be too dry and will not adhere to the stigma. If the humidity is too high, the pollen will not shed readily. Pollen grains may stick together, resulting in poor or no pollination. Pollen is mostly shed between 10:00 a.m. and 4:00 p.m. on dry, sunny days. So, if the gardener wants to assist in the pollination processes rapping each flower sharply with a finger flick just before nap time may encourage the movement of the pollen and the development of the fruits. By the way, have you ever wondered why large-fruited tomato cultivars are sometimes “catfaced” but not the small-fruited ones? This is due to a failure of complete fertilization of the ovule. The larger fruit demands more complete fertilization. This is not a disease but a physiological disorder.